A significant association between journey duration and the risk of injury was found in a Canadian study that assessed nearly 4000 horses arriving at a Canadian horse abattoir. The findings of the study, which provided baseline estimates on the prevalence of injuries for horses transported for slaughter in Canada, were reported in the Canadian Journal of Animal Science. The study team, Cyril Roy, Michael Cockram, Ian Dohoo, and Christopher Riley, quantified injuries in 3940 horses from 150 loads that arrived at the federally approved plant. “Pre-transport assessments could not be performed and hence injuries could not be directly linked causally to the transport conditions alone,” they reported. They said their results were consistent with the findings of a 1999 study which identified that a greater percentage of horses arrived at a slaughter plant in the United States with injuries after journeys longer than 27 hours than journeys shorter than 23 hours. “Journey duration itself cannot cause injuries,” Roy and his colleagues wrote. “However, it increases the exposure time to factors that can cause injury. The study team assessed 91 loads of horses that arrived at the plant in August and September 2011, and 59 loads in January and February the following year. The horses were all visually assessed, and a sample of 100 underwent even more detailed examination, including infrared thermography and a later examination for carcass bruising. The prevalence of visible injuries across all the horses was significantly greater in horses transported from the USA (12.8%) than in horses transported from within Canada (4.2%). The overall prevalence of horses with a visible head injury was 4.6%. 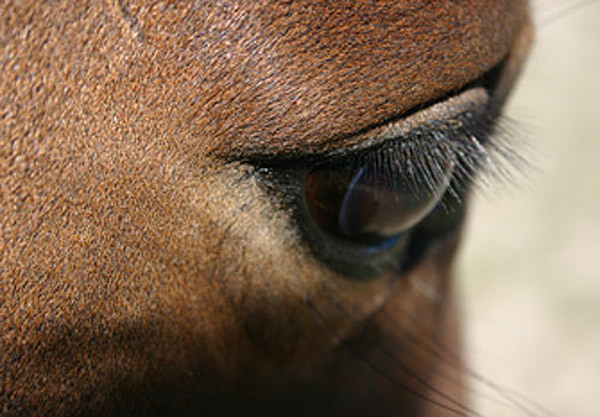 In most loads, there were no horses with swellings around the eyes, but the overall prevalence of horses with swelling around the eyes was 1.1%. In the 100 horses that underwent a more detailed examination, 33% had surface injuries identified by visual assessment, 48% had areas of raised surface temperature identified by thermography and 72% had bruising identified by carcass assessment. They continued: “Estimated stocking density during the journey was not a significant risk factor affecting visible injury. “Horses transported loose at high stocking densities are potentially at greater risk of losing their balance and falling down than those at a lower stocking density,” they noted, citing two previous studies. “This can result in injury. They said procedures that could be implemented to reduce the risk of injury during long journeys and during stopovers could include increased monitoring of the horses for signs of biting and kicking, together with increased provision in both the trailer and at stopover points for separating aggressive horses from others in the group. “As horses can also be injured by projections within the vehicle, extra internal padding within the trailer to head height might also be beneficial in reducing injury. They said pre-slaughter inspection of horses for visible injuries and post-mortem inspection of carcasses for bruising were not technically difficult or time-consuming procedures. Roy, Cockram and Dohoo are affiliated with the Atlantic Veterinary College at the University of Prince Edward Island; Riley is with the Institute of Veterinary, Animal and Biomedical Sciences, within the College of Sciences at Massey University, New Zealand. I have no reply. The whole business just makes me sick and I weep for the innocent animals. I’ve never spent more time in my life being as angry as I am now. Knowing and reading what I have and big seeing any positive action being taken is unbelievable. We owe these animals far more that what we are giving. Stop the slaughter PASS THE SAFE ACT NOW!!!!! !